Grandview Estates of Venus, Pennsylvania has been owned and operated by the Ames family since 1974, with experience reaching back to 1969. 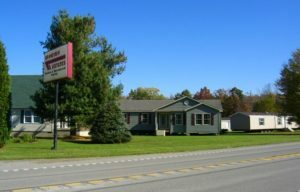 Grandview Estates specializes in selling and erecting quality modular, sectional, and mobile housing in Northwestern Pennsylvania. A Manufactured Home is ONLY PARTIALLY COMPLETE from the factory. This is when the skill of a quality dealer like Grandview Estates is paramount. We build the foundations, deliver, erect, finish and service your new home. This is the field construction that must be done to the highest standards for your new manufactured home to have total quality. Many so-called Factory Direct Sales Companies subcontract the field construction to the lowest bidder. Grandview Estates' factory direct relationships with the manufacturers we have chosen, assures you a complete, professional job, always at a low price. Our Alliances, give you the professional skill of both our staff and the factory staff, to help you design, layout, and detail your new home to fit your needs, and your price. Trusted name brand materials are used, such as: Weyerhauser, Georgia Pacific, Certainteed, Kohler, Anderson, SilverLine, G.K. Tarkett, Whirlpool, GE, and many others. Grandview Estates Goes BEYOND the Factory in helping you with your home purchase. From our display of homes where you can see and touch the real product, to helping you with the detailed paperwork you need for bank financing. 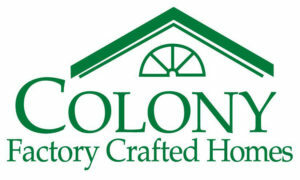 We go directly to your lot location and layout how your new home will look and fit. Years of Experience, Value, Quality, and Service in manufactured housing is Grandview Estates!